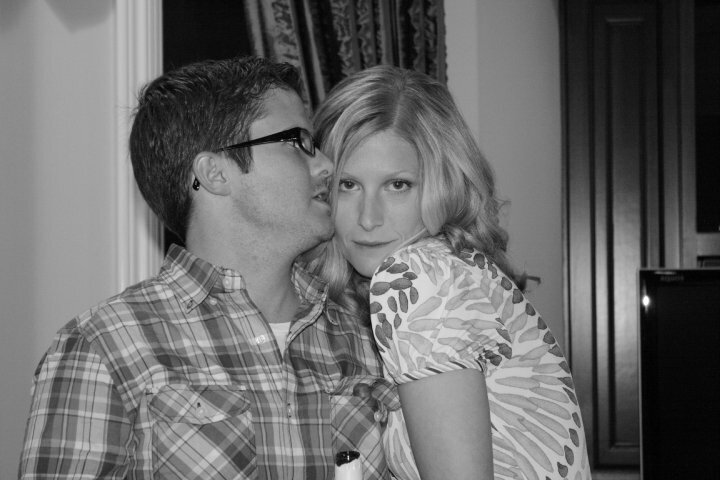 On Saturday, we celebrated the engagement of one of my dear friends, Laura to her fiancée Scott. 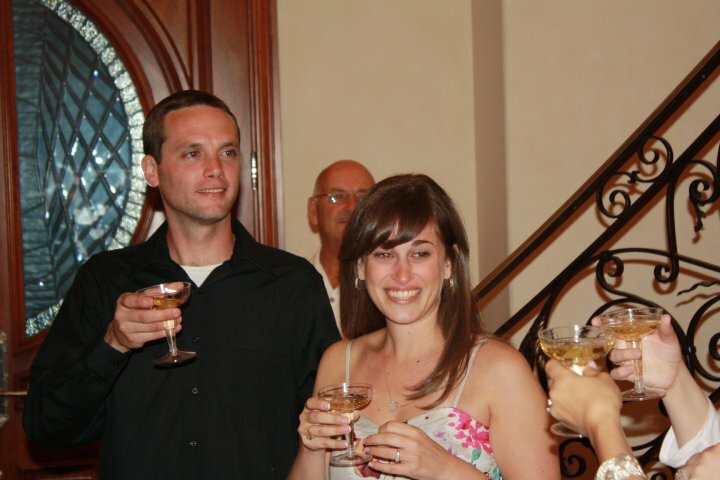 The happy couple being toasted. Laura asked me to be a bridesmaid (which is a big honor and I can’t wait to be there for her on her special day), so I wanted to help out with the engagement party in the best way I know how. Our friend Michelle and Laura’s cousin hosted the party at Michelle’s parents’ house (thanks Gale and Dave!) and they handled all the food and beverages. 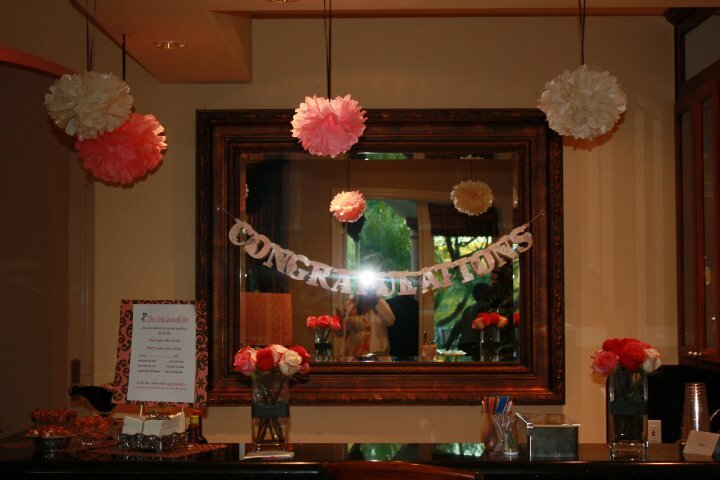 Our friend Roxanne was in charge of desserts and I did the flowers and some of the decor! 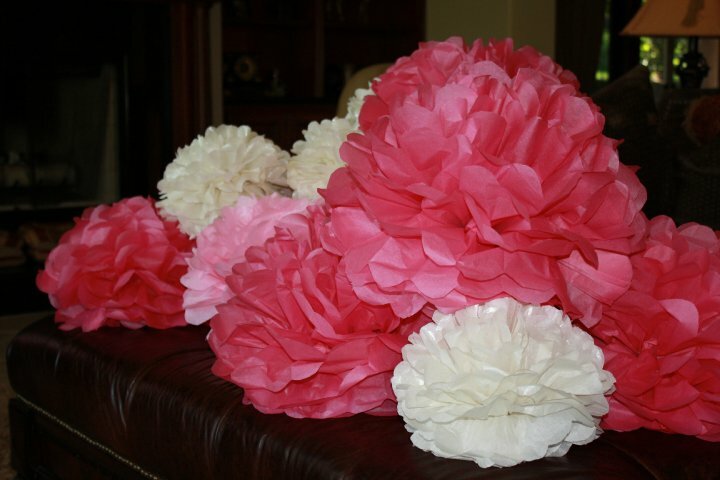 I made several tissue paper poms from Martha to hang over the bar, outside, and around the house in the lovely arches. 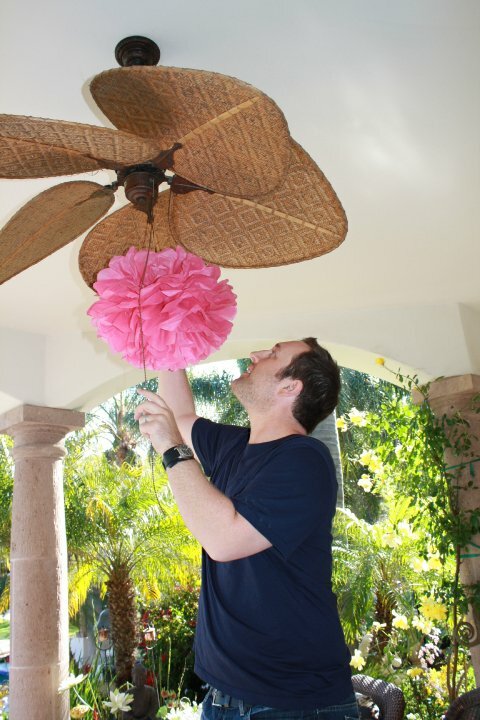 My husband helping out. Isn’t his shirt adorable? 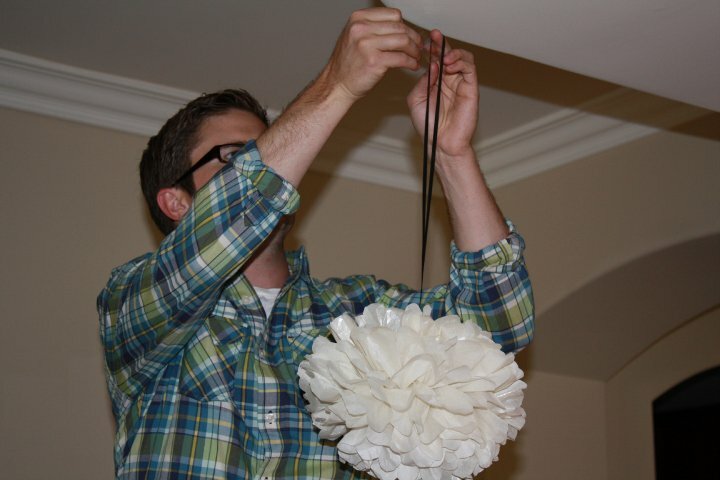 Michelle’s husband got roped into helping me as well. The bar with poms and my floral arrangements. We had a great time catching up with friends. 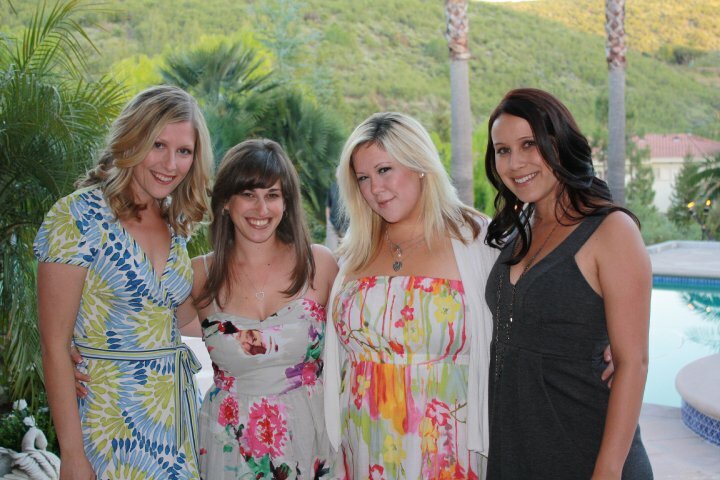 Some of the bridesmaids with the lovely bride-to-be! 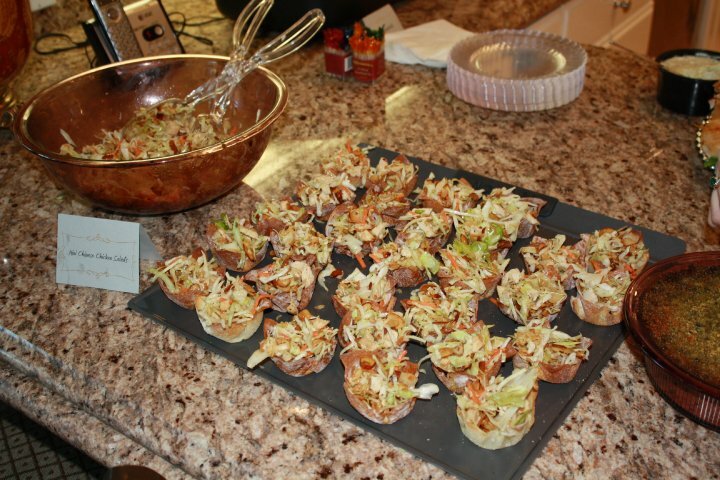 Michelle made the delicious food, including these cute won-ton cups filled with Asian salad. 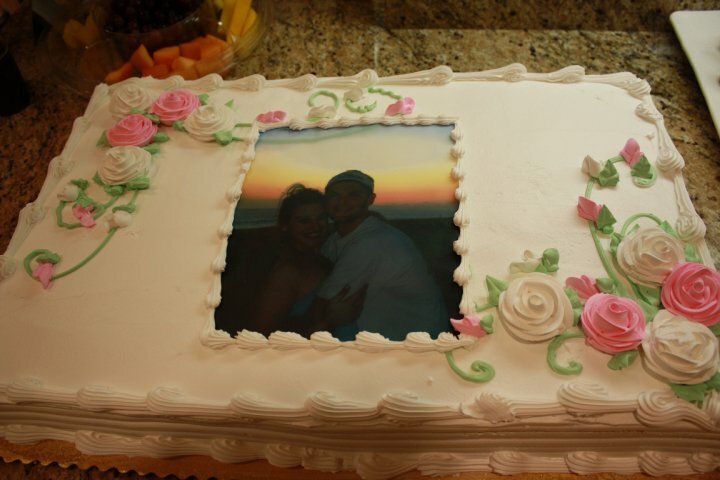 Cake with a photo taken right after Scott proposed on the beaches of Cabo. My husband learned to shuck oysters, a new skill he is quite proud of. 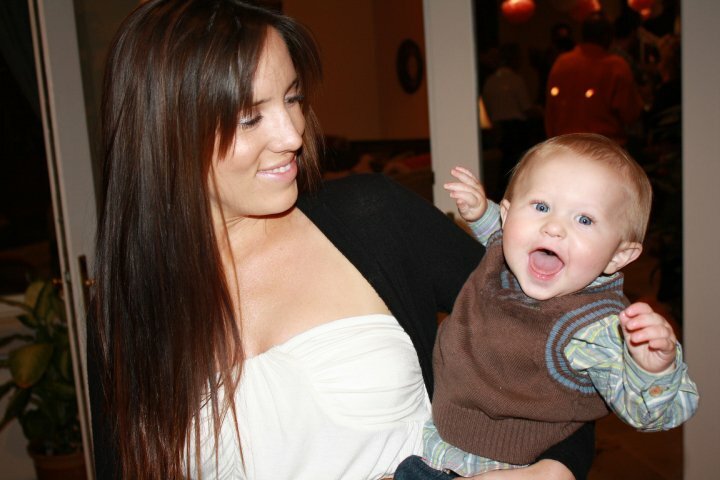 Michelle’s sister Nichole with Michelle and Andy’s baby. Isn’t he the cutest?? His name is awesome too: Carter! Being silly for the camera. 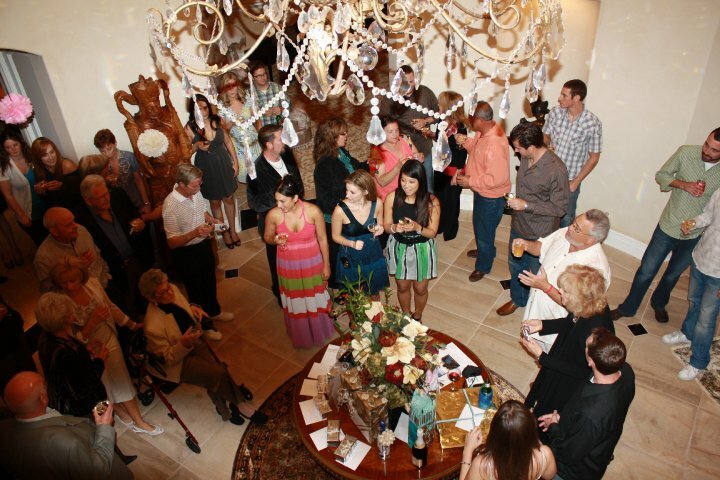 The guests during the toasts, they are so loved! 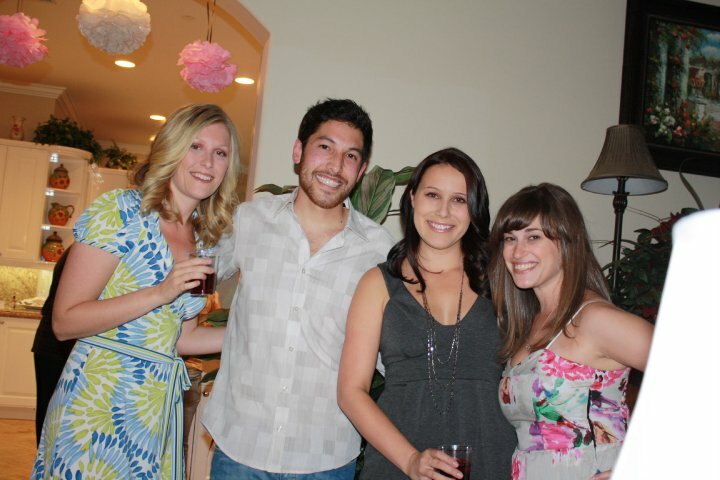 It was so fun to celebrate the engagement of two great friends! I love watching others experience the joy of marriage – bringing friends and families together and starting on a new and exciting journey as husband and wife! Congratulations, Laura and Scott! so cute!!! I had a great time too, thanks for all the help. Love ya!